Google has this nasty habit of making the prettiest Pixels the hardest to get. Remember the Really Blue limited edition Pixel last year? This year, the Kinda Blue variant is only available in the smaller 5-inch form factor, and it's been exclusive to Verizon all this time. That changes today. 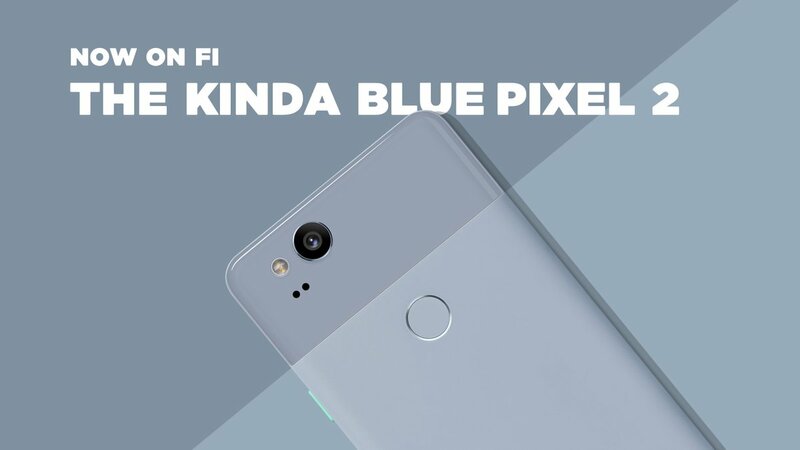 You can now get the Kinda Blue Pixel 2 on Project Fi as well. The Kinda Blue Pixel 2 has a black front and light blue back. The power button is also a nice, bright cyan color. The rest of the specs are the same as the others with a Snapdragon 835, 4GB of RAM, and 64GB of storage (there's no 128GB upgrade for this color). It's unclear if the bootloader is unlockable (Verizon's version isn't), but I'd assume it is if you buy it from Fi. The Kinda Blue Pixel 2 will run you $649, which works out to about $27 per month. Project Fi works on T-Mobile, Sprint, and US Cellular. If you've got good coverage with one or more of those, Fi should work fine for you.